이 호텔은 간이 주방이 딸린 편안한 객실, 무료 인터넷 및 24시간 룸서비스를 제공합니다. 포르투알레그레(Porto Alegre) 중심부에 자리한 이 호텔에서 지역 시장(Municipal Market)과 시내 기차역(Train Station)은 500m 거리에 있습니다. 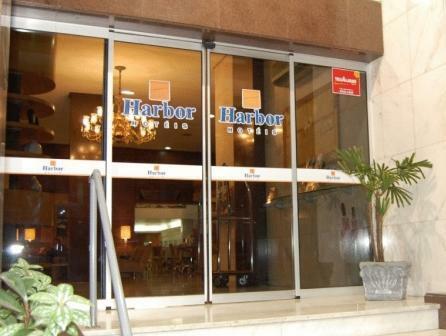 훌륭한 시설을 갖춘 Harbor Regent Suites의 편안한 객실에는 에어컨, 케이블 TV 및 미니바가 마련되어 있습니다. 객실 바닥은 나무로 마감되어 있습니다. Wi-Fi는 무료로 접속하실 수 있습니다. 매일 아침 레스토랑에서 맛있는 무료 조식 뷔페가 제공되며, 저녁에는 맛있는 요리를 맛보실 수 있습니다. 바쁜 하루를 보낸 후에는 호텔 바에서는 한 잔 마시며 여유를 즐겨 보시기 바랍니다. Harbor Regent Suites에서 히우그란지두술 연방대학교(Federal University of Rio Grande do Sul)과 Matriz Square까지 거리는 1km가 채 안 됩니다. 이 호텔은 포르투알레그레의 금융 중심가에 자리 잡고 있습니다. The hotel was up to my expectations. The only major problem was the lack of English speaking staff. 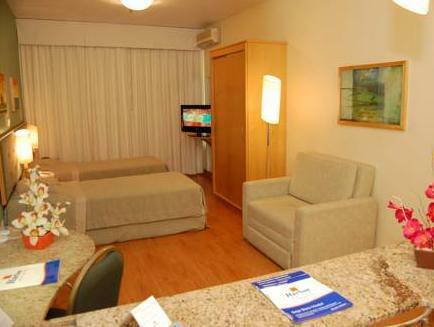 large rooms fully equipped with kitchen. the restaurant is not so good for dinner and the area is downtown and i did not feel safe to go out at night. Large rooms but they are a bit old. The rooms are large but they have seen better days. Communication was a big challenge because most of the staff don't speak English. Convenient location.